In 1993, 30 wood bison from Elk Island National Park were released onto land reclaimed from Syncrude’s mining operations. While bison had been native to the region, they had already disappeared before the oil sands projects were developed. So, blessed by Fort McKay elders, bison were set free to forage on the reclaimed landscape once again. 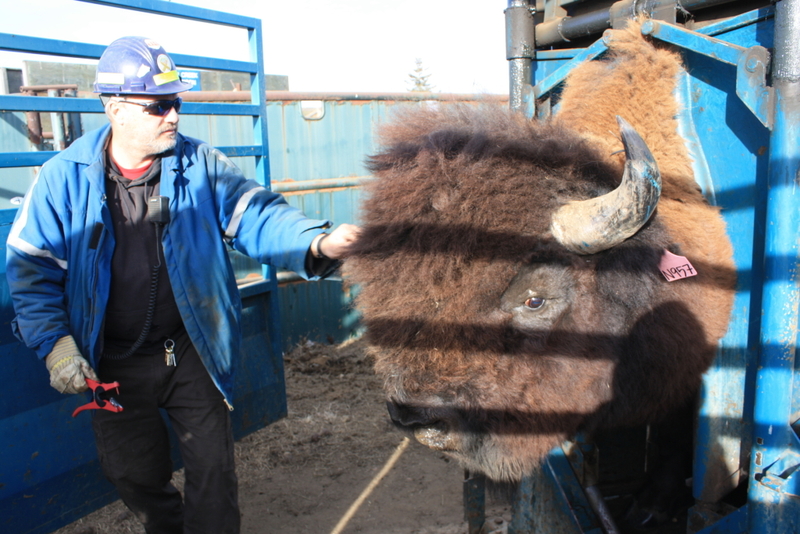 What began as a five-year project meant to assess the capability of reclaimed landscapes to support forage crops for large animals has become, 25 years later, a working partnership between Syncrude and the Fort McKay First Nation at the Beaver Creek Bison Ranch. About 300 wood bison graze on 300 hectares of land, with some 100 calves born yearly. The population—prized for its health and genetic purity–is managed through sales as breeding stock to other bison operations. The project has been recognized with conservation herd certification status and has contributed to a genetic preservation project led by the University of Calgary, University of Saskatchewan, Canada Food Inspection Agency, Parks Canada, the Calgary Zoo and the Government of Northwest Territories.